The 1960’s saw an unprecedented revival of popular interest in the breed. In fact, in 1964 there were 1,529 Basset Hounds registered with The Kennel Club, compared with only 237 in 1959. You Ain’t Nothing But A Hound Dog . The advertising industry recognised in this cute, distinctive looking hound, a strong brand icon. His insouciant demeanour was utilised in comic strips. He became the side-kick of a quirky American television detective. Perhaps, this is the result of the Basset Hound being more photogenic than any other breed of dog. 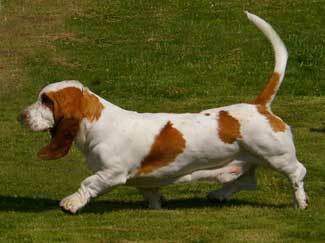 The Basset Hound which we now see is the result of work done by some conscientious and dedicated modern breeders. Their understanding of the science, or perhaps art, of genetics and nutrition has played a part in producing this unique hound. Health and soundness have become paramount considerations in their breeding programs. Sadly, this is not the case of hounds that are cynically mass produced by ‘puppy farms’ . We have in the modern Basset an intelligent, affectionate hound that is sound in body and stable in temperament. In 2005 the Basset Hound Club celebrated its 50th anniversary. 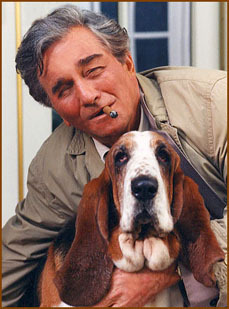 Michael Errey, the highly respected, then Chairman of the Basset Hound Club and Hon. Treasurer of the South East Branch of the BHC, wrote about the breed in Dogs Monthly in 2006. In the article he listed certain criteria which he felt should be met before a Basset Hound is acquired - after which he touchingly added the stricture, ‘because you must not let the little blighter down’. There can be no better guiding principle for all of us who care about this wonderful breed.